You have probably seen My Private Proxy in the search results for “private proxy” since they hold the #1 spot. MPP Group was founded in 2011 and they have now grown to become one of the better private proxy providers. Let’s dive into what they have to offer. MPP is at its core aimed to be used for White Hat SEO and social media (such as Scrapebox & Twitter-tools), which means that you should avoid using any Black Hat SEO software such as Xrumer or GSA with their proxies. Any kind of forum or blog spam is prohibited. There are many other proxy providers if this is what you are looking for. MPP has specialized in a wide range of private proxy usages such as sneaker copping, ticketing and PokemonGO. 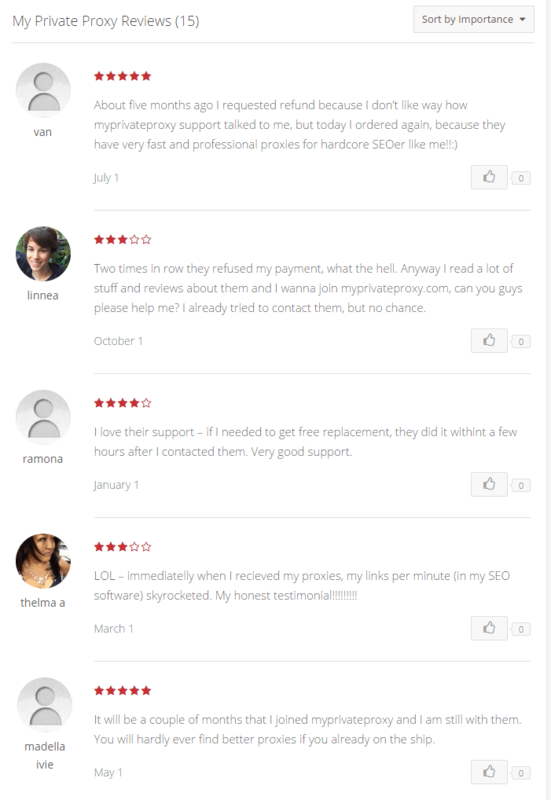 You should contact support if you have a special need. Their private plans are configured in the shopping cart depending on the chosen service, so if the customer opts for example for Instagram or Snapchat, then his plan becomes a social media plan, if he selects Craigslist, it will become a Classified Ads plan and so on; thus, they sell proxies for these websites as well. 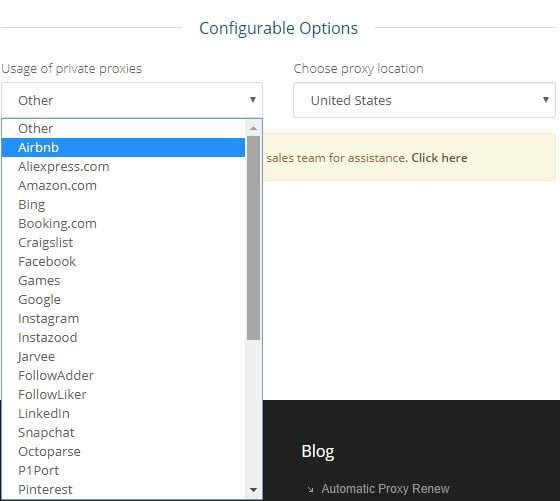 In order to see how their private proxy plans are reconfigured in the cart, select any service from the drop-down named – Usage of private proxies. They also have servers in Canada, Germany, France, Lexembourg, The Netherlands and the UK. This means that their servers are fast and you have a nice selection of locations. 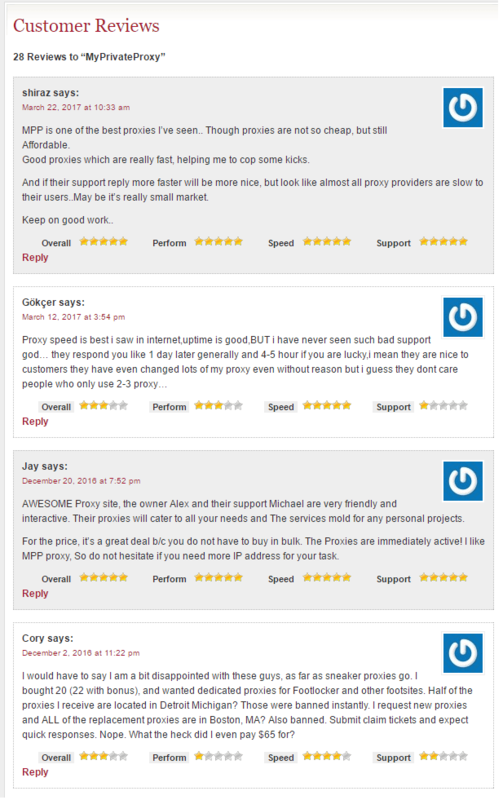 While searching for what other users have to say about My Private Proxy, I’ve found a few other sites with mixed opinions, but most of them are positive. Most people are happy with MPP – especially the speed of the proxies, monthly proxy refresh and on-demand proxy refresh using their API. It is only their support that is a bit slow. You should expect to wait a couple of hour before recieving a reply. Their live chat also doesn’t seem to be working so you should open support tickets instead. Other than that, most people like what MMP has to offer. Their refund policy is also good, but remember that it is different depending on what plan you choose. A purchase of ”standard” private proxies can be refunded within 3 days. There are no refunds for sneaker proxies and ticketing proxies, but they are guaranteed to work. There are no trials so we suggest that you order their smallest plan if you just want to try them out. They offer PayPal and 2CO as payment options. 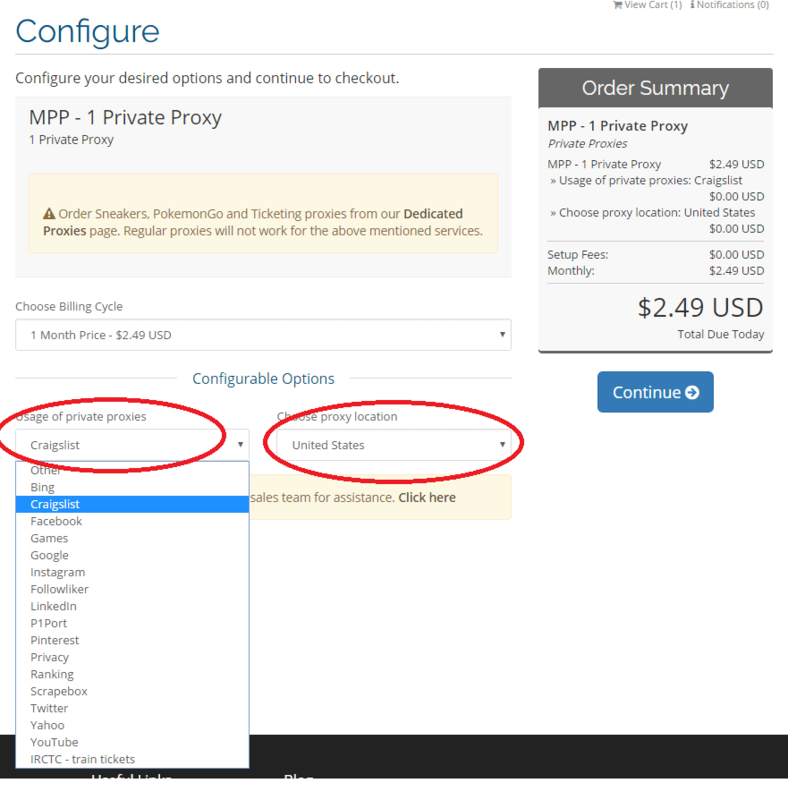 Overall, MPP is a very high quality proxy provider and you can’t really good wrong with them if it is the first proxy provider you plan to use. Enjoy instant activation when you buy one of their proxy services. Authentication is done by IP or username and password. Dedicated proxies that are guaranteed to work for copping sneakers, ticketing with Ticketmaster and PokemonGo. You can buy proxies in bulk for a discount. IP-refresh is done for free each billing cycle by request. Proxies are running on servers optimized for speed. Their live support doesn’t work. Threads are capped to 100 per proxy, but you shouldn’t run that many threads per proxy anyway without switching. Remember to click edit in the checkout process in order to select server locations and what type of proxies you need.